In the first full weekend of August (5-6/8) I partially participated on 144MHz in the VERON Summer Contest. 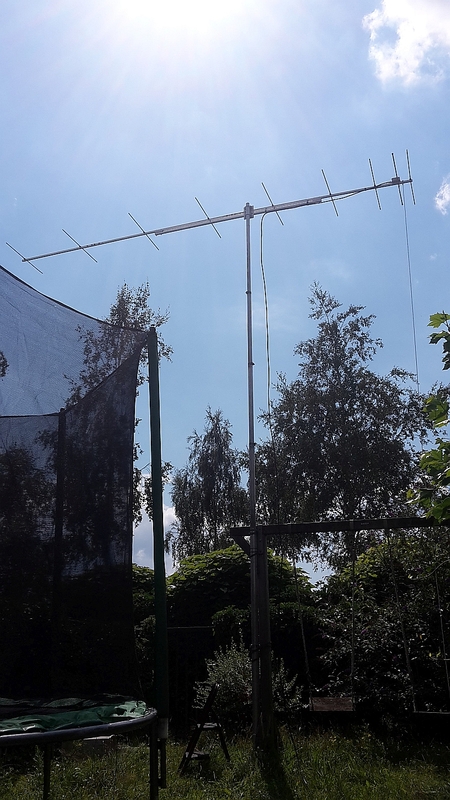 The main purpose was to try my new 2 meter setup. It consists of linrad with a sdr-iq as receiver and for transmission a yeasu FT-450D. All connected to a new 28 to 144MHz transverter. I also modified my 9 el OWL antenna. The tropo radio propagation was medium. My plan was to try to work Italian stations. Italy is not so far away but it's always something special to hear vhf signals across the Alps. The chances were high to work southern stations because this weekend, the famous Alpe-Adria contest was also being held. At the start of the contest I could immediately work IQ3XL and that made me happy. 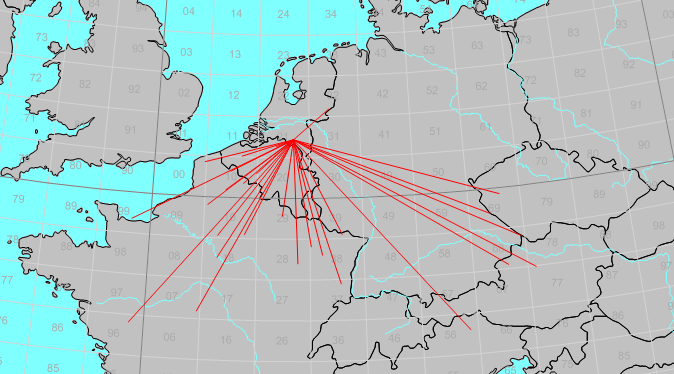 Furthermore, Several Austrian stations where QRV that I could work. I also noticed a lot of activity from France. All in all, I had a great time. 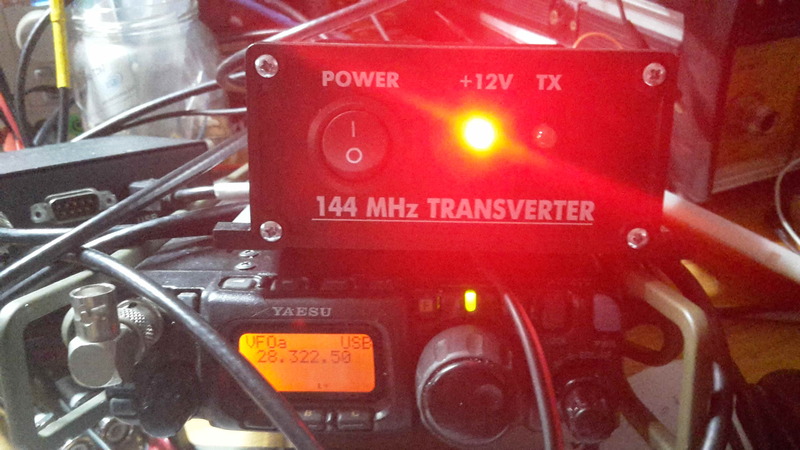 I bought a month ago out of curiosity a cheap transverter from the Transverters Store and used it in this contest. The transverter does what it should do on ssb/cw. I tried it also on weaksignal modes like JT65, but then it is not usable because of to much frequency drift during transmission. I added also a vhf bandfilter on the output for the suppression of unwanted signals to feel legal again. Fig 1: screenshot of linrad showing activity on 2m. I changed the impedance transformer of all my 4 9el owl antenna's. I wanted to experience the performance of the antenna. 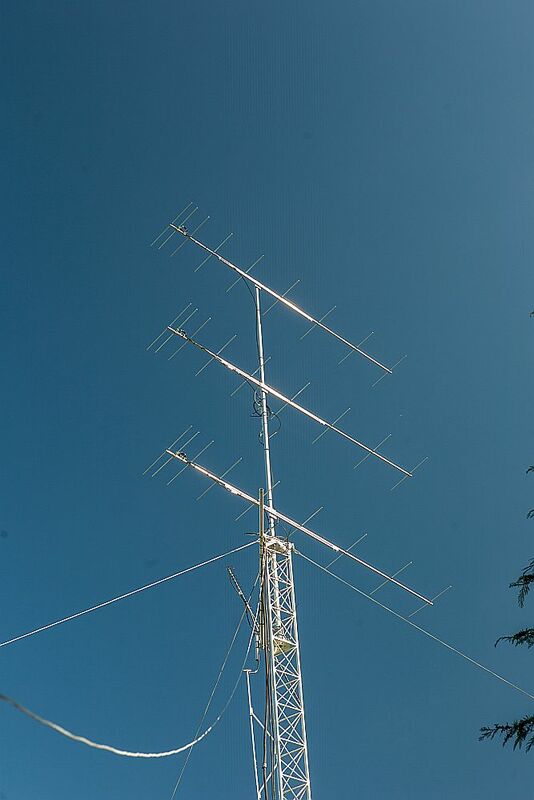 A stack of 3 of these antennas will be used in 144MHz IARU September Contest.